I know that all of y’all have heard, seen and even used the feminine products by Always and Tampax. Well, “for the first time ever, Procter & Gamble’s leading feminine protection brands have come together to premiere the all-new Radiant Collection, a complete offering of premium tampons, pads, liners and wipes that meets all of a woman’s feminine care needs. The new Collection stands out on shelves and features packaging and wrappers that compliment any girl’s unique style, making these products must-have accessories any time of the month.” I received the Always & Tampax Always Radiant Collection sample set in the Summer Beauty Vox Box from Influenster that I posted about here. And it is true the packaging is definitely eye-catching. The Always & Tampax Always Radiant Collection sample set included one scented pad, three unscented liners and two unscented tampons that came inside this cute little hot pink purse. I won’t go into great detail about these products, only because I believe in keeping some things personal. But I will say this…I love both brands and I will definitely be purchasing the Radiant Collection from now on. For more information and product details check out Always & Tampax online. 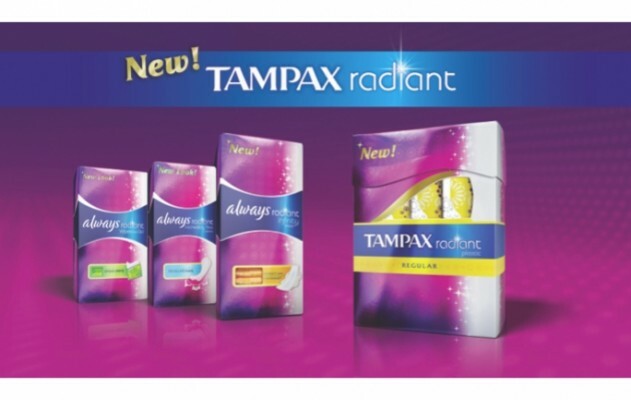 Have you tried any of the new Always & Tampax Radiant Collection products? 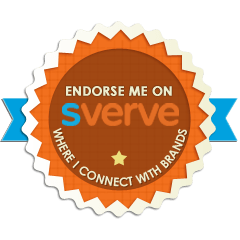 *Disclaimer: Although I received this product for free from Influenster/Proctor & Gamble all opinions stated in this review are my own and are based off of my personal experiences. Like always, please research any/all products before purchasing and using. This entry was posted in Savvy Review on July 31, 2012 by Roni the Savvy Housewife. Tampax was giving these away for free on their fb fan page and luckily I scored one since I didn’t get the Summer Box. The pouch is so cute. Perfect for traveling or throwing in your purse.